Out with the old and in with the new. Some of us treat our computers like we treat our cars, we will either fix them until they just fall apart or we'll ditch them at the first sign of major trouble and get a new one. Either way, at some point you'll end up getting rid of one computer and buying another. If you're like many people, you probably have a stack of old computers in a closet somewhere. The Printed Circuit Boards (PCBs) and other various components are not good for the environment. 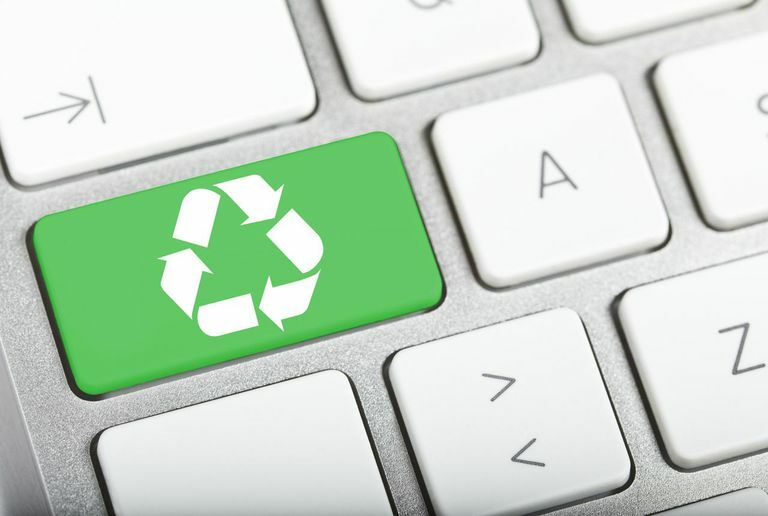 When you are ready to trash your old PC, check with your local sanitation department for rules and regulations regarding the disposal of electronics. Sometimes a disposal fee is required, but there are many free options out there too. Before you buy that shiny new computer and ditch your old one, you need to ensure that you get all of your personal data off of the old one first. Use an external hard drive, a cloud backup like Dropbox or Google Drive, or writable DVDs to make a copy of your data. Check your backup to make sure that it has everything you want on it before you move on. Your computer's hard drive holds huge amounts of personal data, from family photographs to bank records and everything in between. You don't want some stranger getting a hold of this information, do you? For this reason, when many people get rid of a computer they may take out the hard drive and keep it. There are bad people out there who buy old computers strictly for the purpose of using data recovery tools to extract personal information off of the previous owner's hard drive. According to a 2007 study, old hard drives are a huge treasure trove of information for would-be criminals. Even if you have formatted and repartition a hard drive, residual data (on HDD or traditional moving-parts- hard drives) often remains on the drive and can be easily recovered with forensic data recovery programs. It is shocking how easy it is to bring back a deleted file using a forensic data recovery tool. Some tools are able to successfully resurrect a file that has been deleted even with the deleted file residing on a drive that had been reformatted by the computer's operating system. Many times when you format a drive you are actually just wiping out file header and File Allocation Table (FAT) pointer record information. The actual data itself remains on the drive unless overwritten by other data or wiped with a specialized disk wipe utility that actually overwrites all the sectors on the drive with ones and zeros. It's important to know that disk wipe utilities do a great job of wiping out a drive with extreme prejudice, but it's not outlandish to fear that some super genius will come up with a new data forensic technology someday that will read files from drives that were thought to have been wiped even with the best wiping tools out there. This may be a more paranoid take on personal privacy, but it's something we should all know and keep in mind before selling or disposing of a computer. Many people choose to hold on to old hard drives. The hard drives themselves don't take up that much room and can always be used for other projects such as putting them in a USB drive caddy and using them to move data from one PC to another when a network is not available. If you choose to sell your old computer with the hard drive still in it, make sure you use a military-grade disk wipe utility on it first. In the event that neither of these options sounds good, you can always physically destroy the drive before recycling it. Punching a few holes with a power drill usually does the trick. People often leave a disk in their computer's DVD drive for ages. You may leave your operating system DVD in your computer for weeks on end or you may have left a backup copy of your files in the drive from the last backup you made and forgot to take it out after you were finished. Unless you want the next owner of your computer to have this disk you should eject it and put it away for safe keeping. You should also check the back of the computer to make sure that you don't have a USB thumb drive connected to a USB port. Thumb drives are so small now that you hardly notice them. Sometimes that old doorstop of a computer might still be worth having around. You could set it up as a base for IP Security Cameras or use it as a household media server. Just make sure you get all of your family photos safely off the old computer and onto the new one or your wife might just throw you out with the old computer.